Minnesota Vikings Pro Bowl cornerback Antoine Winfield is expected to miss Sunday’s game against Arizona with a neck injury, according to a person with knowledge of the situation. Winfield, who did not participate in Wednesday’s practice, underwent a magnetic resonance imaging exam Wednesday. 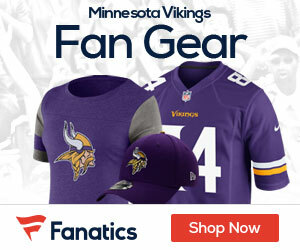 The severity of the injury is unknown, but the Vikings plan to hold out Winfield based on his pain, the delicate nature of neck injuries and his importance to the team. Playing him could be risky if there is structural damage. Winfield has 35 tackles, one forced fumble and one interception this season. He hurt his neck on a gang tackle of Chiefs running back Dexter McCluster in Sunday’s 22-17 loss at Kansas City. Chris Cook likely will replace Winfield, who missed six games in 2009 with a broken foot. Asher Allen also is expected to take snaps. The Vikings are 0looking to avoid going 0-5, which would tie their worst start, set in 1962. Wow I hope Toine is ok , he is definitely the heart and soul of the defense. I think Winnfield is the most consistent player on the defensive side of the ball ,week in and week out he always brings his A Game . I wish the other players would show half the heart of our mighty miniman! Note that Davidson doesn’t really rave about any member of the line. There at least seems to be the admission that we are paying the price for the lack of attention paid to this position over the years. Good. That’s step one. Who’s your back up? Not that Dolphin coaching staff should be considered to have any knowledge of QBs but this caught my interest. If a team decides to start season with only two QBs on the roster do they deserve Henne sympathy? Next: Sage will be starter by second game after Sparano gets mercifully beheaded. Its been years since we’ve seen some of these but of the ones above not selected who would be your backup? Wow, fantastic blog structure! How lengthy have you ever been running a blog for? you made blogging glance easy. The whole look of your site is fantastic, let alone the content!